At ESPN it is officially time to cue up Martha and the Vandellas: "Nowhere to run to, baby; nowhere to hide." 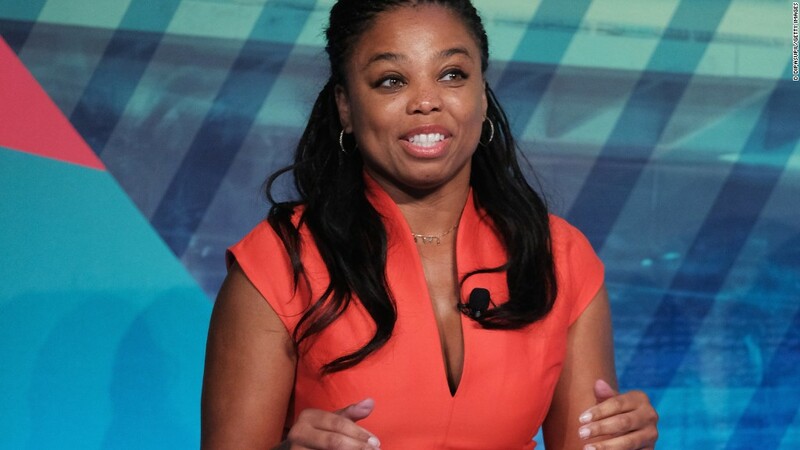 For a network that unabashedly labels itself the "Worldwide Leader in Sports," this week provided the ultimate welcome to No-Man's Land in the war between media and politics, circa 2017: The White House made a public statement calling for ESPN host Jemele Hill to be fired from her (non-federal) job for the offense of harshly criticizing the President of the United States. Then the President himself decided to fire away, tweeting Friday morning that ESPN needed to "apologize for the untruth" of Hill's tweet. In truth, ESPN has been caught in the ferocious cross-fire of partisan politics even before the outspoken Hill kicked up this latest nasty skirmish with a Tweet accusing President Trump of being a white supremacist, not qualified to be President. But when the White House spokesperson, Sarah Sanders, called Hill's Tweet a "fire-able offense" (usually a category decided upon by employers, not outside agitators), ESPN ascended to a new place of dishonor on the growing roster of media bete noires for the conservative/Trump movement. And sports used to be labeled the fun-and-games section of journalism. To be fair, ESPN, for business and company-policy reasons, and the fact of simply existing in a polarized USA, has been moving away from pure, unvarnished coverage of sports events and figures for more than a decade. On some occasions, developments forced management's hand, as when in 2003, Rush Limbaugh was quickly gone from his position commenting on the NFL after his analysis of Eagles quarterback Donovan McNabb (overrated, he said, because "the media has been very desirous that a black quarterback do well") was widely denounced as racist. Other political (and often racial) incidents have pinballed the network all over the media landscape: "Monday Night Football" crooner Hank Williams, fired for comparing President Obama to Hitler (rehired this season); host Bill Simmons, let go for daring to criticize Roger Goodell, the Commissioner of the NFL, with whom ESPN has a massive financial commitment; Schilling, first suspended for saying Hillary Clinton should be buried under a jail, then fired for a Facebook post decrying laws that permit transgendered individuals to use bathrooms of their choice; an ESPN golf tournament moved from a Trump-owned course; a college football announcer reassigned from a game at the University of Virginia, fresh off the Charlottesville racial violence, because his name is Robert Lee. The reaction to ESPN's often hyper-protective coverage of business partners like the NFL has been harsh from the left, but nothing like the furor from the right driven by accusations that ESPN has become an overtly left-wing network. Many analysts point to the coverage of the former Missouri University linebacker, Michael Sam, the first openly gay player in the NFL draft, as a watershed moment. Conservative critics were outraged over ESPN's heavy focus on the marginally talented Sam, (including capturing how he celebrated being drafted by kissing his boyfriend), saying that it reflected a growing liberal agenda at the network. Of course, not a peep was made from the same quarters when ESPN devoted even more lavish attention to the -- as it turned out -- marginally talented Tim Tebow, a conservative darling for his advocacy of his Christian faith. Objections came from many sides when the 2015 Arthur Ashe Courage award went to Caitlyn Jenner. Conservatives berated ESPN for shameless pandering to liberal support for LGBQT rights; one objective sports analyst, Bob Costas, labeled it a "tabloid play," noting Jenner had not been a sports figure in a generation. The controversies have swirled at the same time ESPN is facing a brutal financial retrenchment, losing tens of millions of subscribers to cord-cutting. Predictably, the conservative critics -- many of whom also don't like ESPN's parent company, Disney -- have attributed the technologically based diminishment of ESPN to political stances that have alienated viewers on the right, who are supposedly quitting the networks in droves as a protest. James Andrew Miller, co-author of the oral history of ESPN, "Those Guys Have All the Fun," also pointed out the lunacy of the idea that ESPN is being punished for its views through mass cord-cutting. "The cord-cutters would be eliminating everything on cable, including Fox News," Miller told me. Miller argued that the politically based attacks on ESPN generally lack necessary context. "It is beyond tricky to try to make sense of what's happening at ESPN in a political context." "It is accurate that the Walt Disney Company and ESPN are committed to diversity and inclusion. These are long-standing values that drive fundamental fairness while providing us with the widest possible pool of talent to create the smartest and most creative staff. We do not view this as a political stance but as a human stance. We do not think tolerance is the domain of a particular political philosophy." It is also true that, as the best moments of any game have become instantly available all over social media, the network has made a major shift away from pure highlight shows toward debate-style shows, where the hosts are encouraged to mix it up and be outspoken. That certainly describes Hill, who has won wide praise for her potent presence on her daily SportsCenter show. Even before the current run-in with the Trump Administration, Hill has been an avowed critic of his positions on social media—and elsewhere. In Brady's examination of the politicizing of ESPN back in December, Hill told him: "This time, you've got one candidate who is so polarizing, and, because of the racist and xenophobic views associated with him, it's made it difficult to stay quiet about it." Those words are not appreciably different from her tweet. Miller noted that Hill was hired specifically for her strong views and the way in which she argues them -- at least when it comes to sports. "She is valued because of her opinions. She's a keen observer and can use language like a sword." The paradox, he added, is that "The President can decry political correctness and go after people. But apparently nobody else can." And apparently nobody can really expect to watch sports the way they did before the unremitting intrusion of partisan politics entered our lives. In the past, people went to games at the ballpark or watched the Super Bowl at a party with friends, utterly unaware of anything except which team they were rooting for. Now it seems to matter just as much which tribe you belong to.